On Sunday 3rd May, Caroline Carr will be delivering a session on the lower Tryweryn looking at individualising coaching to develop your paddling further in white water environments. Ps. 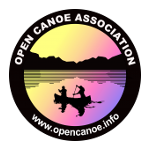 Why not try one of the Hou Canoes – contact bookings@canoefest.info for details. OCA © 2015. All Rights Reserved.